Gone are the days when kitchens in the Indian households were mere dwellings that supposedly confined the women within. Be it to cook for their families or their husbands, Indian women have been subsumed in the pre-conceived notions like “Women BELONG in the kitchen” or “Cooking – That’s for wives”. We have grown up in a society where, to this day, the majority of women have been discriminated against and often shown to the kitchen door and referred to it as “their place”. Despite the Indian women being suppressed and narrowed into cooking, it is looked down upon by the society, if they do so professionally. So, the professional market belongs to the men? A skit from the critically acclaimed movie English Vinglish. Of the recently deceased, highly renowned and revered actress Ms. Sridevi. The skit exposes the mindset people have towards women and tries to condone it by planting a seed of reason. With the onset of social media, the afore-mentioned mindset has been significantly challenged. Social media has provided us with a platform to showcase our talents in the kitchen and our rich culture that revolves around food. No matter where you are in the world, no matter what your ethnicity is, I’m sure that the mere idea of feasting on Indian food gets you salivating. ‘Incorporation of Social media in kitchens’ has served to be an industry disrupter. It allows anyone, from anywhere across the world to showcase their passion for cooking, or for food in general. Social media sites like YOUTUBE, FACEBOOK AND INSTAGRAM have allowed individuals to interact with a huge audience and have a considerable following. Anyone passionate about food, wanting to showcase her/his talent and creativity in the kitchen can easily do so with the help of social media. It has allowed an average individual with raw talent to not only advertise her/his creativity in the kitchen, but even monetize it. Many Indian women have grabbed this opportunity by the neck and have made the most out of it. Not only women, but men passionate about cooking, about food, have surfaced with the help of the wide-mouthed beast – The Social Media. It has allowed the suppressed to surface. In this day and age, with the internet being at the pedestal of it all, anyone with a mobile phone and an internet connection can start interacting with the world through social media sites. Many have taken to YouTube – The largest video sharing site in the world with over billion of views each day. Setting up a cookery channel on YouTube has never been easy. You just login, make a video, and post it for the world to see. Moreover, if you’re good at it, you’ll definitely get the much-awaited recognition and a huge following. One can easily monetize the YouTube videos and even earn money. Make it as a career or even a way to earn some extra cash. Many channels of Indian origin have gained substantial following on YouTube by posting videos of the Indian food that they are passionate about. 1. 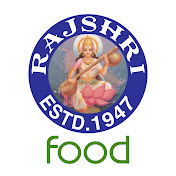 Rajshri Foods – With over 1.2 million subscribers on YouTube and 1.4 million followers on facebook, Rajshri foods has shown the world, how women passionate about cooking with their roots engraved in the cultural Indian food, can serve to be an inspiration to other women working in the Indian households, and even worldwide. 2. Tarla Dalal – Another passionate Indian youtube channel flourishing under the guidance of Mrs. Tarla Dalal, with over 539,000 subscribers on YouTube. 3. 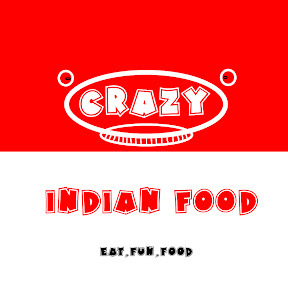 Crazy for Indian food – A guy from a village who cashed on his passion for food by making videos of the food that he loves and posting them online. Has over 140,000 subscribers on YouTube. The perfect example showcasing the real power of social media. A guy starting his own Food tv network from a village, ends up gaining such a massive following on social media. The three listed above are not even the tip of the iceberg. Many individuals, both men and women, EVEN KIDS, have managed to achieve a great deal of success and a huge following through the power of social media. Moreover, one can easily set up a facebook page or an Instagram page and start posting pictures and videos of the food they cook. With so much traffic concentrated on these sites, you are bound to get accolades from people around the world. An individual can easily set up an online food catering business across all social media platforms. 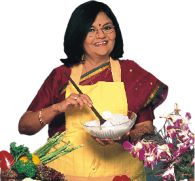 Women, been cooking for a lifetime, can now earn some extra cash that is bound to ease off the financial confinements of the middle class Indian households. The use of google adwords to drive traffic to your site or your food blog can multiply your online business by 10. In the era of the smartphone and social media advertising, you could reach to a potential market of over a billion people spread throughout the world. Social media has served as a great medium to reach and teach millions of people from the comfort of your own kitchen. • And most importantly, the usage of locally grown and available organic food in the Indian households. 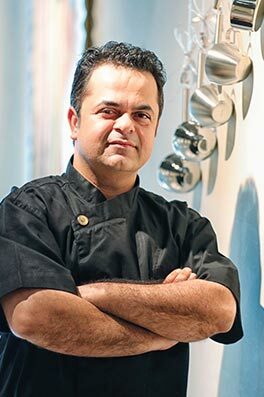 He also joined F&B Asia as Director Culinary Strategy and development. All these above mentioned points can be compiled and labelled as the Advantages of Social Media in Kitchens. Again, to quote myself, Social media helps the suppressed and the unknown, with unprecedented talent, to surface. Moreover, it is not biased among the individuals, like our society. All women, men and children, from across the globe have an equal opportunity to take advantage of the being alive in the era of booming Social Media and internet. The disadvantages of Social media, however, according to me is that you can learn all about different kinds of food, you can learn how to cook mouth-watering dishes, you can even find out the whereabouts of the food that you wish to devour. But you just can’t taste it through your screen. Not yet at least. The technological advancements are not that “seasoned”. Pun intended.